As per usual Nintendo fashion, a Nintendo Direct Press Conference was streamed live last night. Instead of making one huge press conference at E3, Nintendo decided to make 3 smaller ones, effectively limiting the deluge of information to a slow, steady drip. First, the big E3 Press Conference covered a lot of Wii U news. Then there was the Nintendo 3DS Software Showcase, and now the Nintendo Direct Press Conferences announces both Wii U and 3DS games and new hardware. To see the presser in full, click the Read More button below. 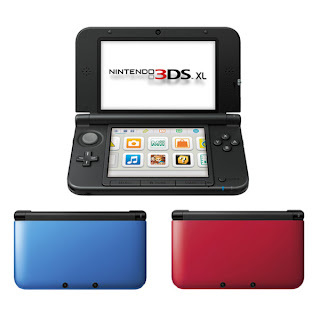 The biggest hardware announcement is that the Nintendo 3DS XL is finally official. With twice the screen size, the 3DS XL looks to follow the DSi XL in giving the handheld an upgrade in size and battery life. This upgraded 3DS, featuring 90% more screen real estate, will launch August 19 for $199.99, bundled with a 4Gb SD card. Coincidentally that is the same day New Super Mario Bros. 2 is released. A new 3DS was not all Reggie had in store for us, as a bevy of 3DS titles have been officially announced, or more officially announced in some cases. For starters, they announced that both the new Professor Layton, trailer after the jump, and Fire Emblem games are getting a port to America, and they will be receiving DLC in the forms of more puzzles and new storylines in the future post-release. Also, Reggie talked about Pokémon Black&White version 2 along with the Nintendo E-Shop exclusives, Dream Radar and Pokedex 3D Pro. These apps will tie into the new Pokemon games, allowing you to take pictures of Pokémon in real life (dolls, toys, etc.) 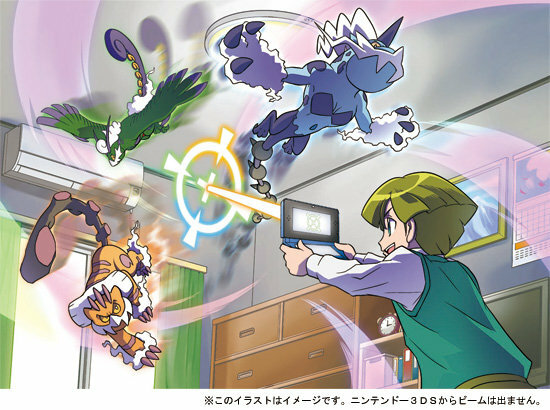 and capture them to use in the game, as well as use your room as a virtual hunting ground for rare Pokémon. For even more gaming goodness, Nintendo announced a summer virtual console special, where you can buy older virtual console games for cheap prices like $2.99. They're calling it Nintendo 8-bit Summer. Starting with Super Mario Land, the 3DS virtual console special will release 2 new games for the 3DS each week, with classic games like the original Legend of Zelda, and Wario Land: Super Mario Land 3. To see the preview video, hit Read More below. 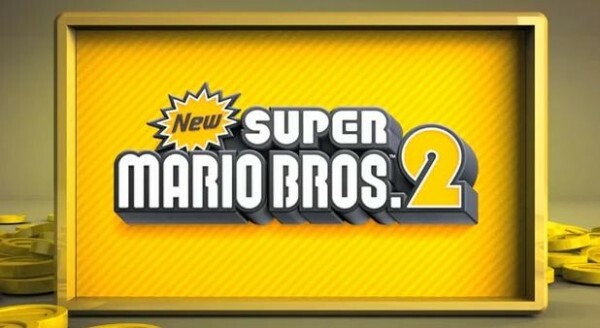 In Wii U news, Nintendo is teaming up with Namco Bandai Studios to make the officially announced next Super Smash Bros. This title will also feature a 3DS version of the game, though no word on how they will interact. 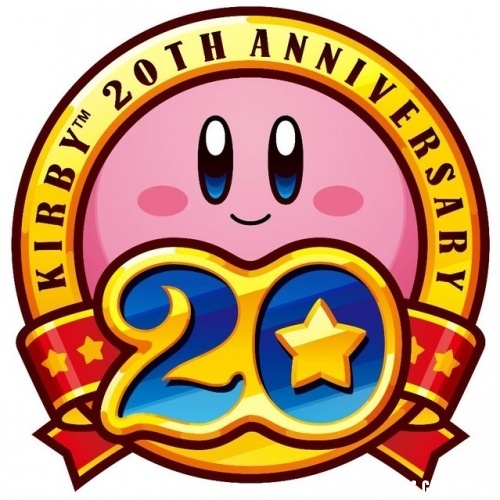 And Nintendo is releasing the Kirby Dream Collection: Special Edition for Kirby’s 20th birthday. This looks to have 6, or more, classic Kirby games. Well with all the big news coming from Nintendo I can’t wait to see what else they release in terms of information and details. Although I do wish they had pushed more of this news out at E3. Their lackluster performance at the latest gaming convention left many wondering why there was not more news. I suppose we now know why. Either way this is all exciting news, though I am confused as to why Nintendo chose to release a second 3DS console without two circle pads. It seems obvious enough that they need it with their heavy push of the circle pad, so why not include it in the redesign? Perhaps in the next handheld refresh. No word on if we'll also be seeing a circle pad XL, but it would not surprise me in the slightest. 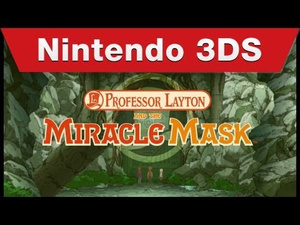 Professor Layton and the Miracle Mask English Trailer. To be released this Fall.